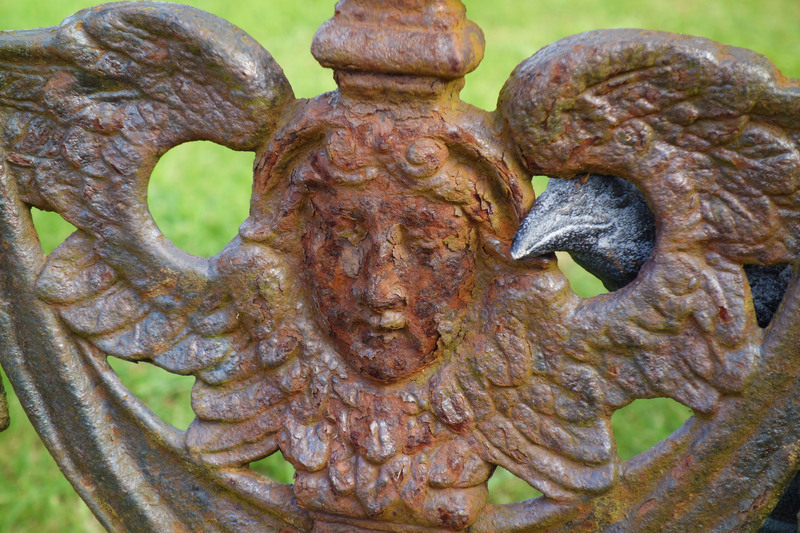 Nevermore with a badly rusted angel in the graveyard at the Church of Ireland in Glencolmcille, County Donegal. 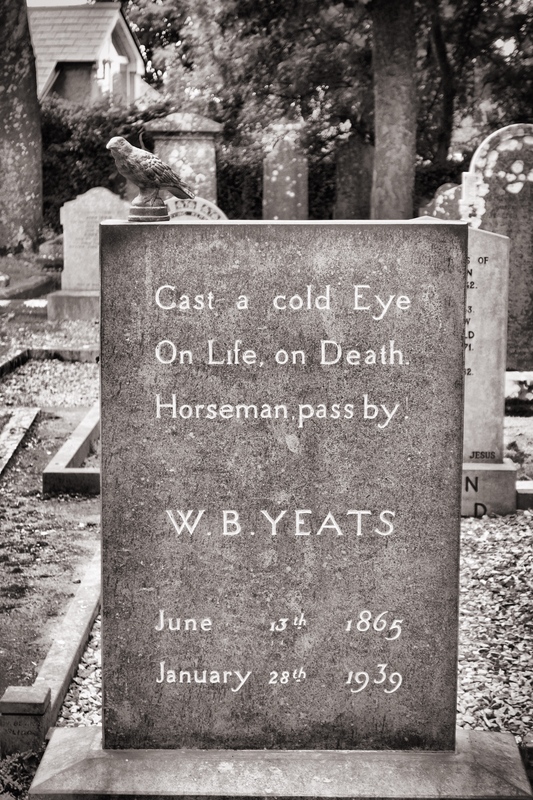 Nevermore first visited Yeats’ grave in Drumcliff, County Sligo. 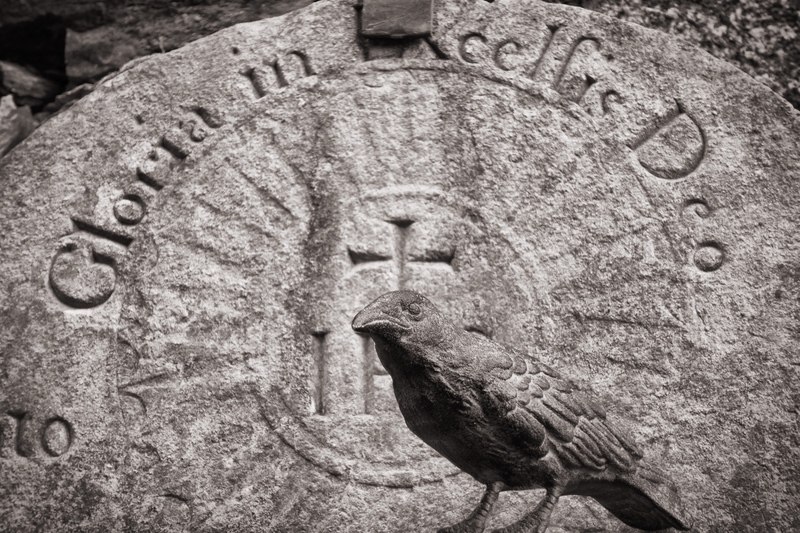 Nevermore in front of a gravestone in the abbey at Glendalough, County Wicklow.